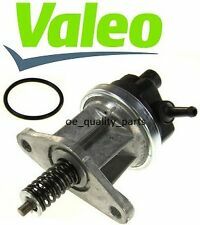 New fuel pump qfp162 fp448.1967 - 1999 codes 6k1 86c 80 19e 1g1 1g2 165. WARTBURG 353 1.3 Fuel Pump 89 to 91 QH. WARTBURG 353 Tourist 1.3 Estate Petrol 02/1989 05/1991 FWD 8 58 43. SEAT IBIZA Mk II (6K1) 1.3 i Hatchback Petrol 03/1993 08/1999 FWD 8 54 40. VW DERBY (86C, 80) 1.3 Saloon Petrol 09/1982 12/1984 FWD 8 75 55. Fuel Pump QFP162 Quinton Hazell. Part Number QFP162. LANCER BOSS FP298. SEAT 030127025. VAG 030127025. SEAT IBIZA Mk II (6K1) 1.3 i Hatchback Petrol 03/1993 08/1999 FWD 8 54 40. VW DERBY (86C, 80) 1.3 Saloon Petrol 09/1982 12/1984 FWD 8 75 55. There may be on occasions more than one compatible part for your vehicle. Then at our discretion we will decide the next course of action. We will do our best to answer as fast as possible. Part Number:7.02242.26.0. Then at our discretion we will decide the next course of action. There may be on occasions more than one compatible part for your vehicle. We will do our best to answer as fast as possible. Part Number:V10-0807.